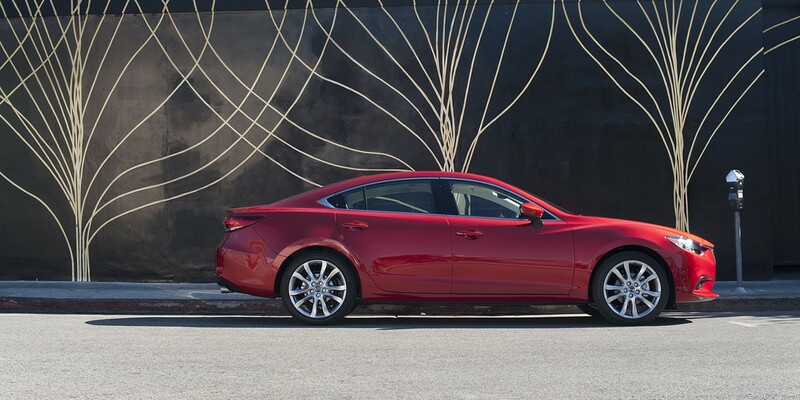 The new Mazda 6 has an athletic, fun-to-drive personality without compromising on practicality or fuel economy. The ride is slightly stiffer than in other midsize sedans, and there’s a bit more road noise as well. Mazda is planning to release a diesel-engine version of the Mazda 6 that should offer a bit more power. 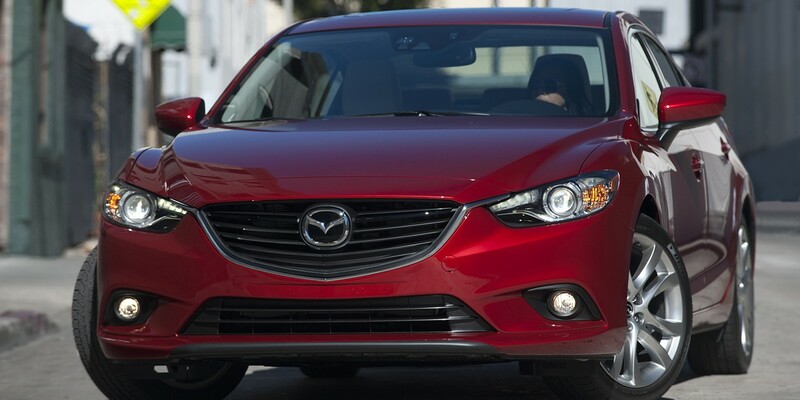 The 6 is Mazda’s entry in the competitive midsize sedan market, and it’s redesigned for 2014. Like Mazda’s CX-5 compact SUV, the Mazda 6 utilizes the company’s SKYACTIV brand of fuel-economy-oriented engine, transmission, and chassis technologies. The Mazda 6 lineup ascends through entry-level i Sport, mid-level i Touring, and topline i Grand Touring models. 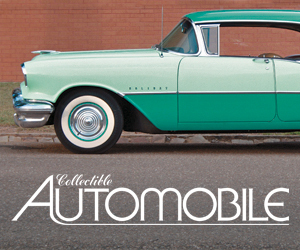 All are front-wheel drive and have a 2.5-liter 4-cylinder engine with 184 horsepower. Sport and Touring models offer the choice of a 6-speed manual or 6-speed automatic transmission; Grand Touring models come only with the automatic. Everything. The Mazda 6 is new from the ground up for 2014, sharing nothing with its 2009-2013 predecessor. In addition to Mazda’s SKYACTIV technology, the 2014 Mazda 6 also offers a unique “i-ELOOP” regenerative braking system aimed at fuel economy, and Smart City Brake Support, a collision-avoidance/mitigation system that detects forward obstructions and sounds a warning. The Mazda 6’s EPA ratings are 25 city/37 highway with the manual transmission and 26/38 with the automatic. 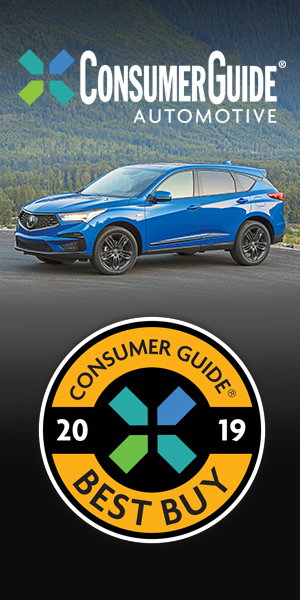 Grand Touring models equipped with the Technology Package, which includes the i-ELOOP regenerative braking system, get an EPA score of 28 city/40 highway. In Consumer Guide® testing, an i Grand Touring averaged an excellent 31.5 mpg. A manual-transmission Sport averaged 31.4 mpg in mostly highway work. Mazda 6 uses regular-grade gas. 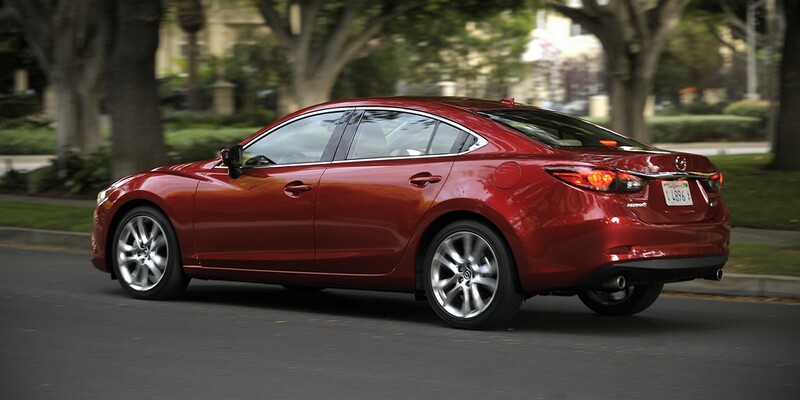 The redesigned 2014 Mazda 6 is one of the most nimble, athletic-feeling cars in its class. And thankfully, its fun-to-drive character doesn’t come at the expense of practicality, passenger and cargo versatility, or fuel efficiency. Plus, the 6’s new safety and infotainment features help it keep pace with the ever-advancing technology of its competitors. The 6’s model lineup isn’t as broad as rival midsize sedans’, but any 6 delivers a genuine enthusiast character deftly blended with daily-driver practicality and economy.